Product photography… it’s a subject that I’m personally very interested in (I am the classic amateur photographer – going everywhere with my trusted DSLR!) as well as something that I believe is integral to creating a successful online business. Be it eBay, Amazon, or your own online store – product pictures is probably the most important element in making the difference between a sale and a view. In fact I’d go as far as to say that on eBay it can sometimes be the only factor, as nowadays many buyers just scan through search results, looking only at the main gallery image. So really it should come as no surprise that I’ve written extensively on the subject, both on this very blog as well as in my Easy Auction Business video course. But what about taking product photography one step further? After all, if a picture says a thousand words, then what does a video say!? Now I’m pretty sure I can guess your reaction upon reading “video” – you’re either wondering why or you’re thinking to yourself that it’s a great idea but too expensive and/or difficult to implement – after all, why do so few sellers on eBay use video, there must be a good reason, right? Well there is a reason, most likely they’re simply too lazy or just don’t know how to do it. For most people, product videography seems like an incredibly complicated task, when in reality creating videos is not much more difficult than taking pictures, and can sometimes be even easier. 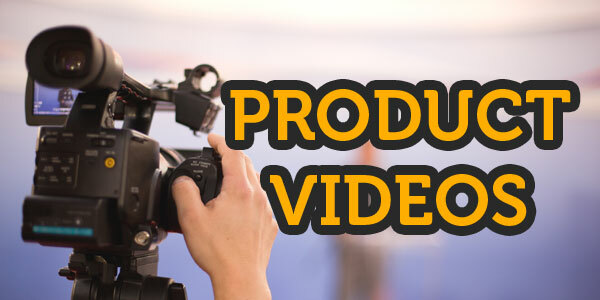 And as to why, well the answer is obvious – product videos increase conversion rates! It’s the exact same principle of product photography, but multiplied tenfold! Don’t fool yourself into thinking that Amazon and other large online retailers use videos for the fun of it. They know that it boosts conversions and that’s why they use them. In fact for some products, I would even say that videos are a requirement if you truly want to do well online. Alright, now that we’ve covered the Why, let’s get started with the How. Of course one option is to simply pay good money to a professional to take care of this for you, but as the cost will be prohibitive for most people, today I’m going to show you an incredibly simple and cheap (basically free!) way to do this for yourself – the DIY approach! Just like with product photography, equipment is very important here, as you just won’t be able to get good results without the right tools. Does that mean you need a top of the line, 4K camcorder? No, of course you don’t – if you do have one already then terrific and by all means use it, but as the whole idea here is to keep the cost low, I definitely wouldn’t suggest you run out and buy one specifically for your product videos. 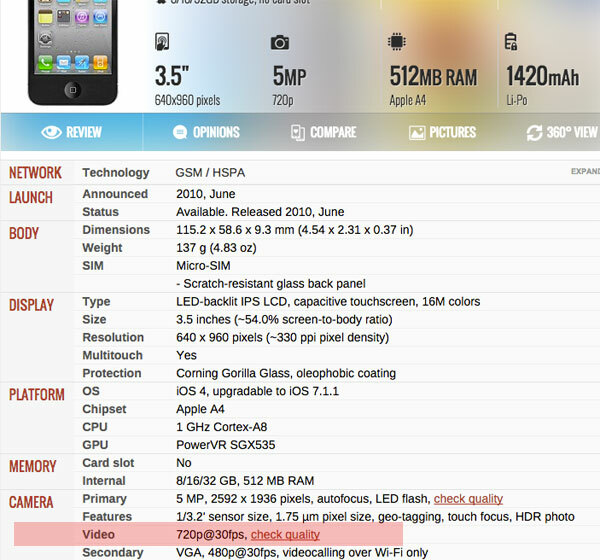 This can be a great option if you have a recent smartphone with good video recording capabilities. By good I mean 1080p at 30fps, as that really is the minimum for what we need. Recent top of the line smartphones like the iPhone 6S can actually record 1080p at 120fps and if you lower the resolution to 720p, 240fps, which can make for some very interesting slo-mo product videos! Once again, if you have a fairly recent digital camera, then it should come with a movie mode/recording feature capable of shooting full HD videos, which is all you need! To be sure, check online or take a look through your camera’s manual. If by chance you don’t have either of the first two options, then you could instead use your laptop/iPad/desktop’s web cam. The quality may not be great, which is why I consider this the last option, but it’s still going to be much better than having no video at all! Last but not least, there is always the option of buying what you need. As I mentioned earlier, I wouldn’t suggest going all out on a pro, studio quality camcorder, but depending on your budget and needs, you can buy something suitable. That could mean taking out that new smartphone contract you’ve been looking at or treating yourself to a new digital camera (call it an early Christmas present!). Better yet, you could go for a DSLR camera which would allow you to take amazing product pictures as well as product videos! 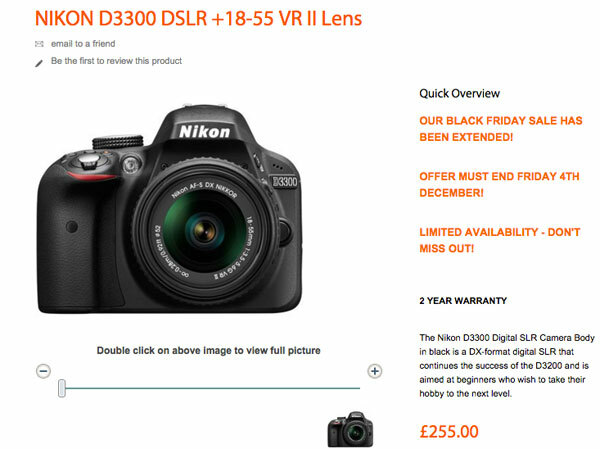 There have been some recent deals on the Nikon D3300 with 18-55mm lens kit for well under £300, which is a terrific buy! Or if you’re not interested in that type of thing and just want to buy something that will get the job done at the lowest possible price, then I suggest purchasing a full HD web camera. If you are really constrained in your budget, then you could take a jump down to 720p (though I personally wouldn’t recommend it) and go for the Logitech C270 for only £15 delivered. However, as I said earlier 1080p should really be what you aim for in your product videos, so if you cannot afford the £45 for the Logitech C920, I’d suggest going for a cheaper brand, rather than sacrificing resolution. 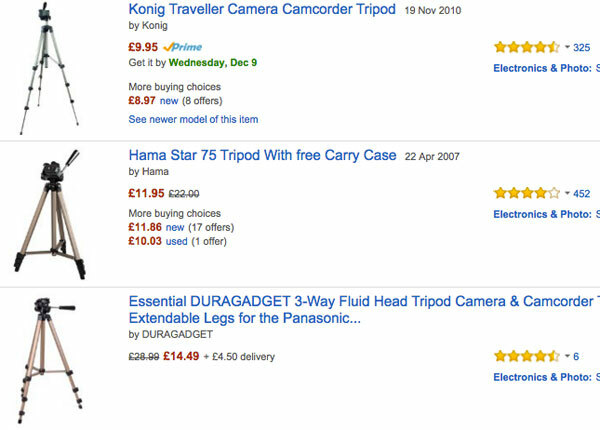 So with that in mind you could instead opt for the TeckNet full HD webcam, which costs a bargain £20! And there you have it – multiple different options to suit every budget, and that means no excuses! 99% of people will already have something suitable that they can use to shoot product videos, and if not, I’ve still provided you with a £20 option! Please don’t tell me that you cannot afford that, as I know you can! If you really want to get this done, you will, even if it means missing out on one or two outside dinners to manage it. Next up in our needed equipment is a tripod. To put it simply – a tripod is an integral tool if you want to get steady product videos. Pretty much any tripod will be fine here, even the cheapest ones, as you only need to place the camera on it and adjust the height to the right level and you’re done! Then you need some sort of video editing software to put the final piece together. Again, please don’t be put off by this! There are loads of simple, FREE editors that you can download, or better yet, just use the built in ones – Movie Maker for Windows and iMovie for Macs. You honestly don’t need anything complicated here – the opposite in fact as all you need to do is cut and edit clips together, possibly add some text to list features, and then export the final video file. All very simple stuff that any decent editing program will handle with ease. And speaking of simplicity, trust me when I tell you that these programs are incredibly easy to use. All you need is half an hour or so to watch a few basic guides on YouTube and you’re good to go! With this basic kit you have all that you need to shoot high quality product videos that will add to your sales and profit! In approach no. 1 you sit in front of the camera, with your product, and show and talk about its different features. For option no. 2 you are behind the camera and can either show some features using your hands or stay out of the video completely and just have a silent video showcasing the product. I’m sure you don’t need me to tell you that approach no. 1, when you yourself present the product, works best. The simple fact that you show your face and talk about the product adds a layer of credibility, which you just can’t achieve with a face off video. Of course if you really don’t want to show your face in any product videos, then you can still go with option no. 2, that’s completely fine as well! It still adds a lot of value to your buyers vs simply having product pictures! Act natural – you are displaying and showing the product, not trying to push for a sale in the video. Have a script – you should have at least some idea of what you want to say and cover before you start shooting, otherwise you will get lost and start stuttering etc. Pretend you are talking to a friend – this is probably the best advice I can give! The ideal tone and overall style for your videos will be achieved if you pretend you are talking to a friend or family member and showing them your latest purchase, talking about its features and benefits etc.! Keep it short – 1-3 minutes is more than enough time for most products, up to 10 minutes at the very most for more complex items. Anything longer than that and you will lose interest. Remember, eBay buyers have a very short attention span, so if they see the video is 13 minutes long, chances are they won’t even bother starting it. Also bear in mind that you won’t get this 100% right on your first go! Practice makes perfect and you will slowly improve with each video, as you get some experience and become more comfortable. And just have fun with it! Don’t worry too much about little details and making everything picture perfect – sometimes a slight amateur feeling can actually add to your credibility and likeability. But that amateurishness should only extend so far! You want to make sure you have a clean and professional area for your videos, which means a plain or coloured desk (ideally no patterns as they distract from the product). 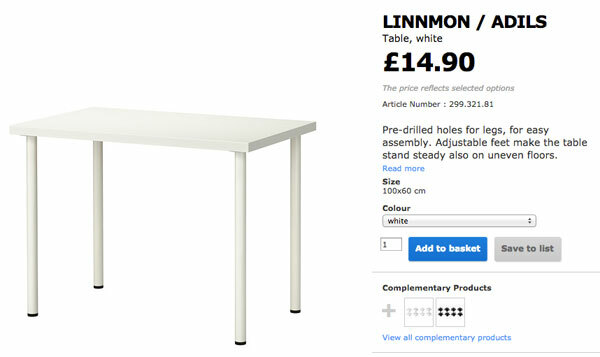 You can pick up a basic white desk from Ikea that would be perfect for this for less than £15! Lastly, for small and intricate products, such as jewellery, custom designed craft products, watches etc., you can use a rotating turntable to really show the product from every angle. These can now be bought fairly cheaply on eBay, so take a look at them if you think your products might be suitable. Now before you get all scared, by editing I simply mean cutting out the beginning and end of your video, when you aren’t actually presenting the product, plus any parts in the middle that you need to remove (if you misspoke or nothing happened for a short while etc. ), and that’s it! If you have someone to help you record, and you prepare well, then you might not even have to do any editing at all. If you are a bit more computer savvy or have some interest in video editing, then you can go a few steps further and add some text where appropriate, your logo, titles and a few other little extras. Basically do as much as you feel comfortable with, but don’t worry if all you can do is a basic video, as that’s what’s really important here anyway! Speaking of basic and simple, please don’t add any audio tracks to your videos. They don’t add any value at all, and if anything they actually distract your viewers. Trust me on this as I learnt the hard way, after stupidly including music in all of my earlier product videos. One thing I do recommend you add is a video intro (i.e. logo reveal) as they really add to the professional look and feel of your video. Considering the fact that you can get these done on Fiverr for, you guessed it, $5, I’d say it’s definitely a worthwhile investment. So to get one made for your videos, just head to Fiverr and find the Video and Animation category and then the Intros sub-category. 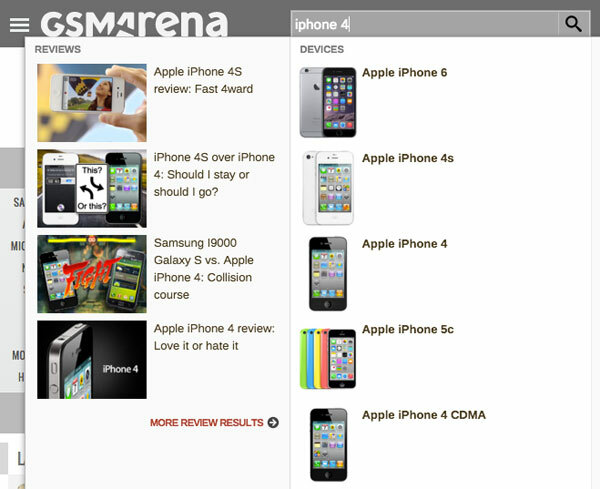 As you can see there are hundreds of providers so just select one based on their feedback score. Ideally this intro should be made using your logo, but if for some reason you don’t have a logo (you can get one from the very same Fiverr if the cost is what has put you off) then you can simply give them your eBay shop name or seller ID, as that’s still better than nothing. Once your video is edited and ready, you need to export it for online use. Nearly all editing programs will give you the option of exporting in MP4 format, which is ideal for what we need. Now that you’ve recorded and editing your product video, it’s time to get it online so it can actually be seen! And for this I recommend good old YouTube. Yep, YouTube is the best and easiest way to get your video online. Oh and did I mention it’s completely free!? So just create an account if you don’t already have one and upload your newly created video, making sure that you enable embedding and that the video is public. The very last step is to insert that video in to your eBay listings. To do this you need to get the embed code form YouTube and paste that in to your listing. And that’s that! A simple and easy to follow guide that will take your eBay listings from having plain old, boring product pictures to exciting, buyer friendly videos! It really isn’t complicated or expensive, so there is no reason for you to not implement product videos in your own business. The main negative to buying products online is that buyers can’t really see the product they’re looking it, and videos go a long way to bridging this gap vs buying product in physical retail stores. In my opinion, video is the future of selling products online and sooner or later everyone will need to use them or risk getting left behind. So why not put yourself ahead of the competition and enjoy a boost in your conversion rate, sales, and profit!